Many of you may know Carli Bybel from YouTube. I personally found her on Instagram and thought she was some sort of model, but I was excited to see that she actually posted beauty videos because I always have thought that she's really beautiful. I've been into Game of Thrones recently and she posted a video of herself doing a transformation to Daenerys Targaryen and I think she looks so similar to Emilia's character that she could be her double and I wouldn't even notice. 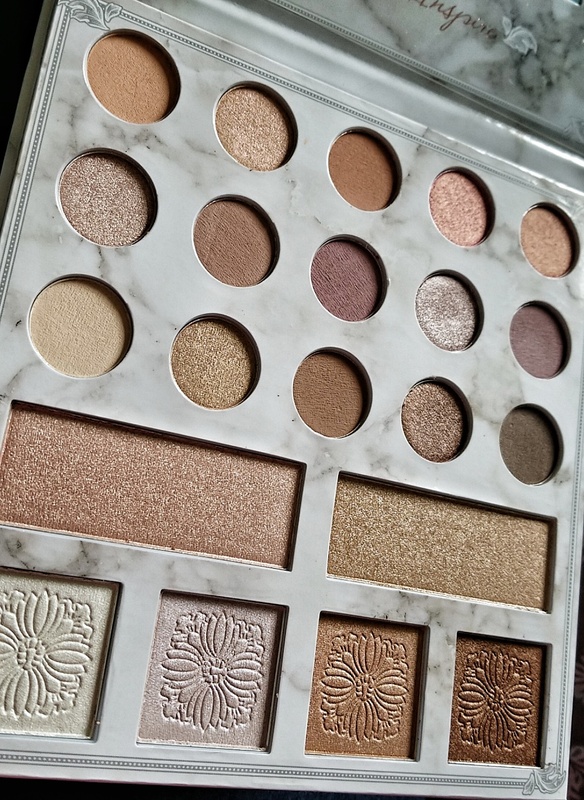 In the video she mentions her own palette and I recently was able to purchase it. The way that happened was I went to Ulta for one thing and just happened to pass by her palette with a sample display and one swatch led to another and next thing I know, I'm at the check out line with her palette. 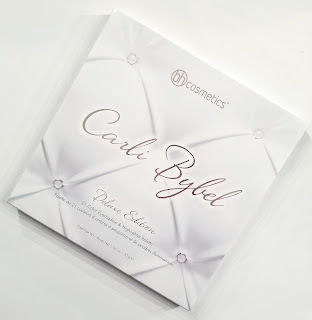 The palette I got was the Carli Bybel Deluxe Edition 21 Color Eyeshadow & Highlighter Palette. I would say this is fairly large because this is the second edition to the first one she released, which is no longer for sale on Ulta's website. 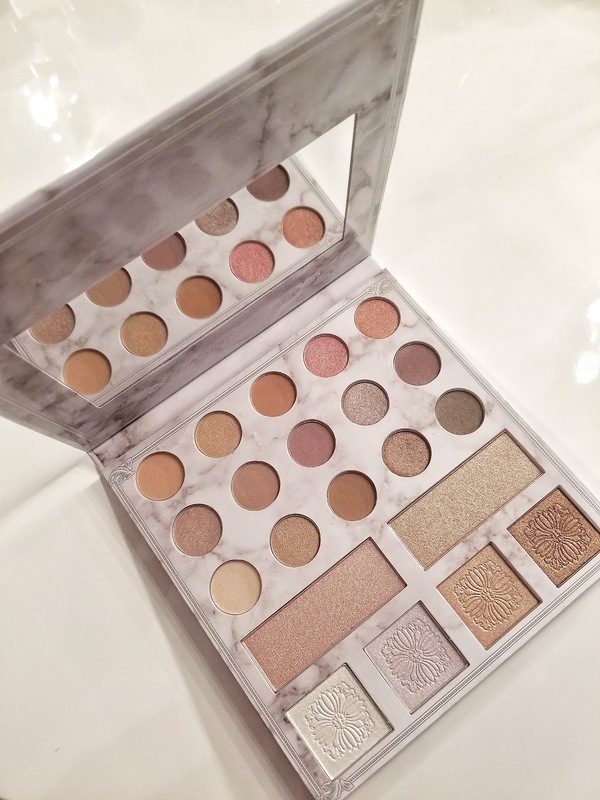 I would say it's smaller than Jaclyn Hill x Morphe's palette but larger than a Tarte Palette. 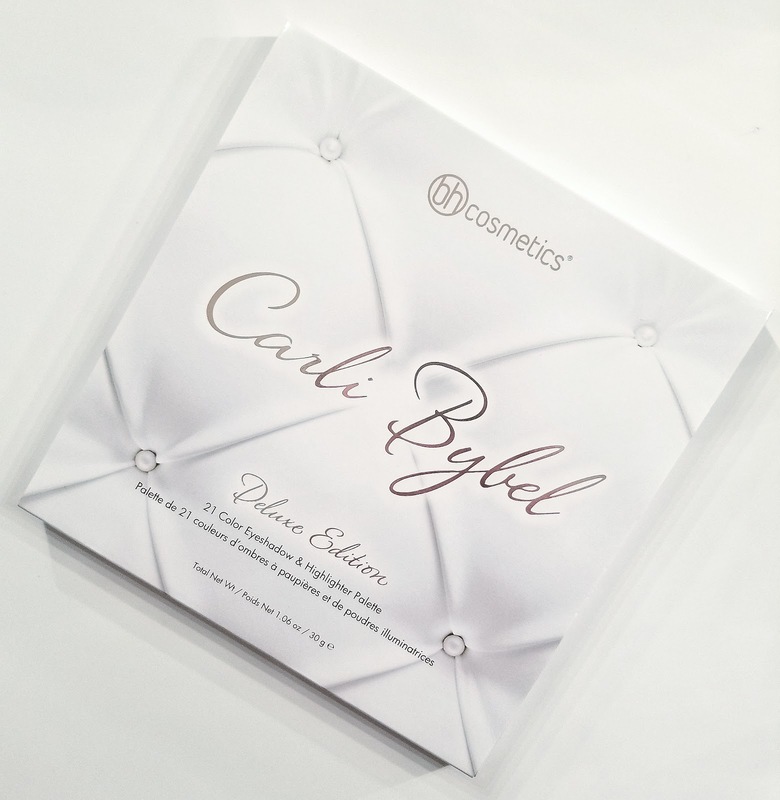 The packaging is a white marble and very lightweight. 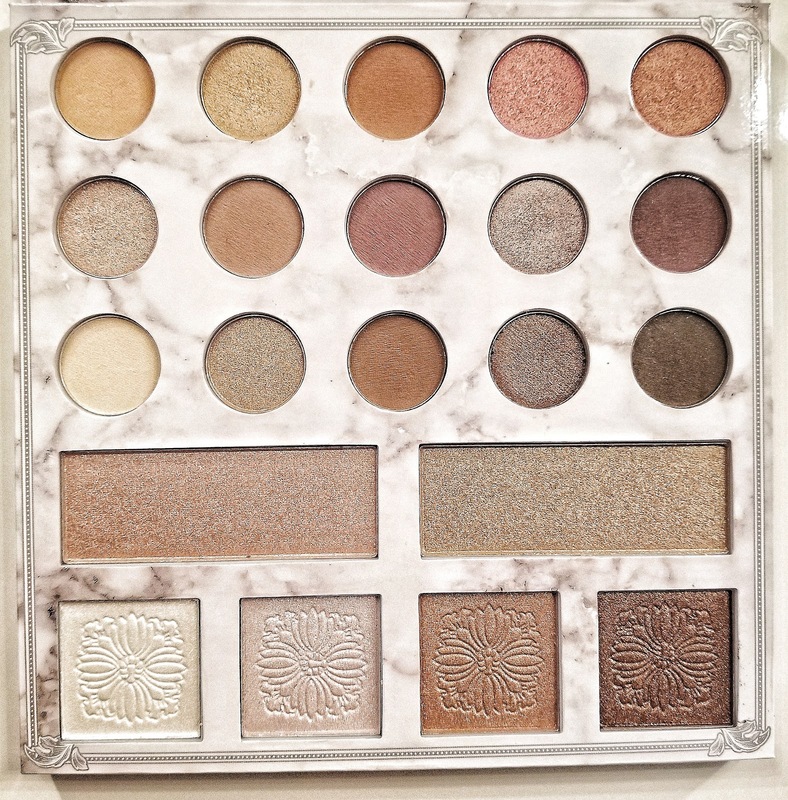 It comes with 21 beautiful colors vs the 14 on the original palette. I was walking by the end isle at Ulta and happened to see a sample palette out for people to swatch and the more I swatched on my arm, the more I wanted to get it. I had to walk away from it but I couldn't stop thinking about the pigmentation, so I went back and ended up buying it. I thought the colors were very nice and the pigmentation of the swatches was absolutely amazing. The ones that drew my attention were the shimmers but I also thought the matte ones were beautiful. They were very creamy and went on smoothly and all it took was one swipe to get a good color swatch. I had some more shopping to do at another store and the swatches stayed on my arm. Well, I noticed that I had moved my arm around and they transferred to my shirt and barely stayed on my arm. That's the only thing I did not like about them. They were great as swatches and even when I applied them on my eyes, but they come off very easily. I highly recommend a good eyelid primer and a setting spray if you plan on using this palette for a night out. I'm a huge Urban Decay lover so the primer I use is the Urban Decay Original Eyeshadow Primer Potion. And of course, the setting spray by Urban Decay is also the bomb dot com, which is called the Urban Decay All Nighter Long-Lasting Makeup Setting Spray. I've also heard that the Mac Prep + Prime Fix + is amazing as well. I, personally, have not tried it but it has great reviews. 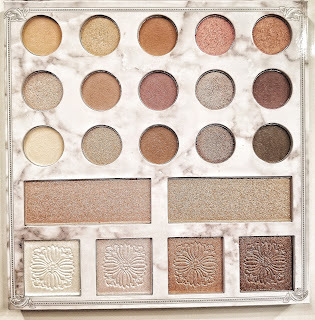 As far as this palette goes, I think the colors are fantastic and the pigmentation is out of this world. It goes on beautifully and you can use any brush to pat it on. I recommend using Carli's YouTube channel to see what kinds of makeup looks she does with it so your makeup can look flawless too!